Love staycations? 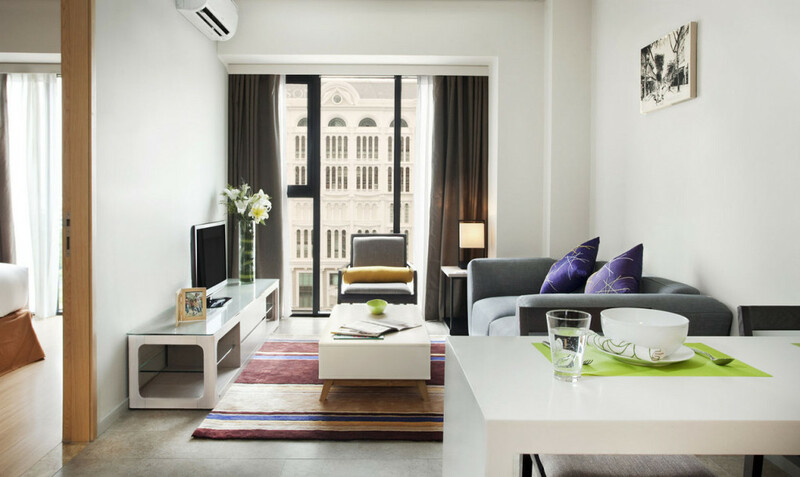 Well, you’ll be glad to know that there are more cool boutique hotels in Singapore than you think. Here are some underrated places to check out for your next staycation. 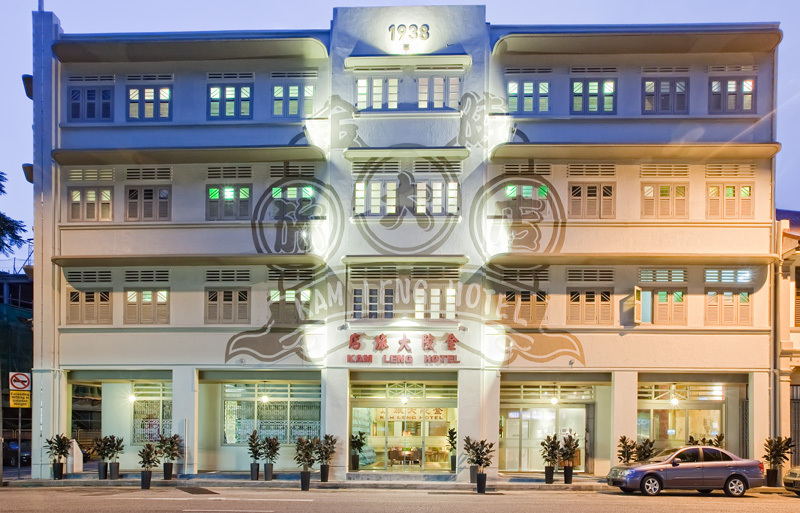 If you’re into all things retro, you’ll love how Kam Leng Hotel transports you back in time with its old-school decor. 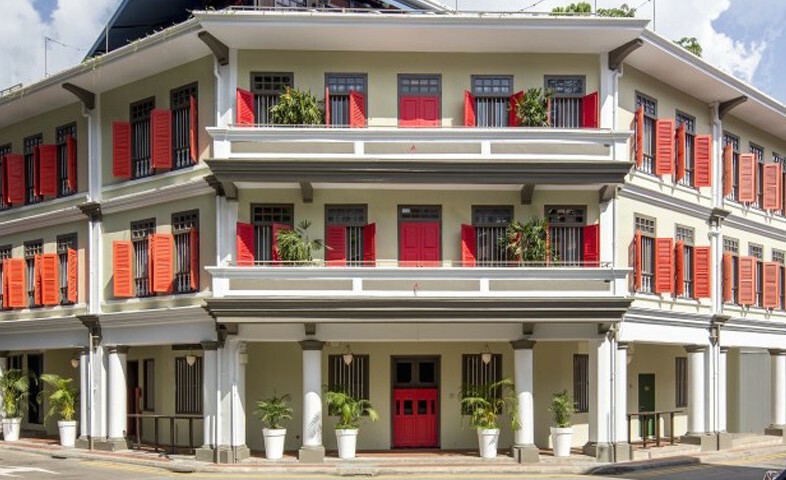 In fact, its traditional Nanyang façade has been there since the hotel opened in 1927. How much more old school can you get, am I right? The rooms are an interesting blend of retro-chic and modern – think shuttered timber windows and simple chairs alongside a comfy queen bed. 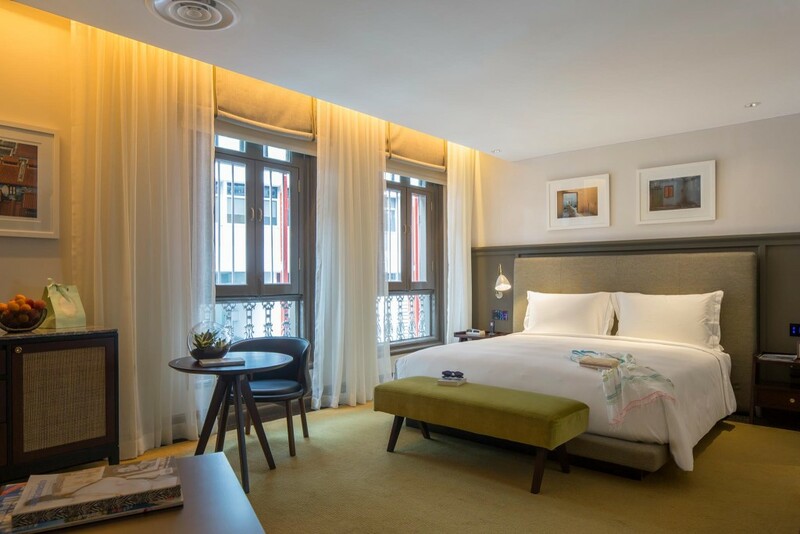 Kam Leng Hotel is also surrounded by hipster cafes and good local eats (Chye Seng Huat and Punggol Nasi Lemak, to name a few), so it’s a great staycation spot for the foodies out there. Prices start from $72 for Standard Queen Room. Hotel Vagabond is whimsical, opulent and a little mysterious – very reminiscent of Wes Anderson’s Grand Budapest Hotel. 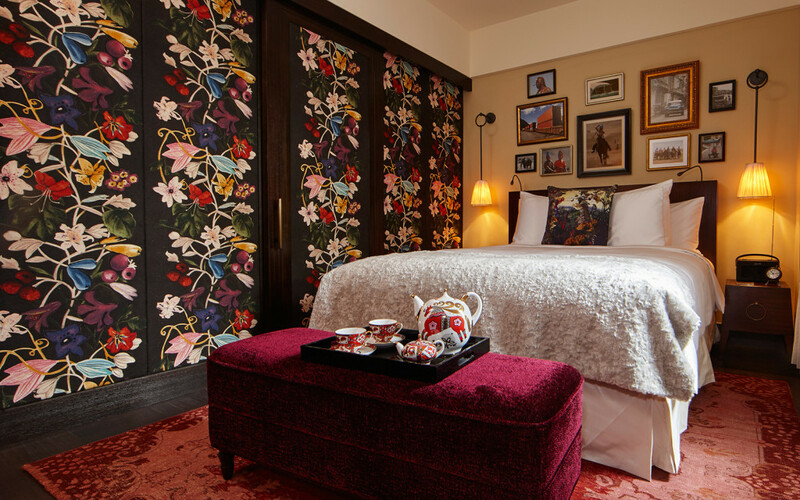 Every room in the hotel was designed by French artist Jacques Garcia, and the interiors boast dark woods, varying textures and colours, as well as intriguing art pieces. 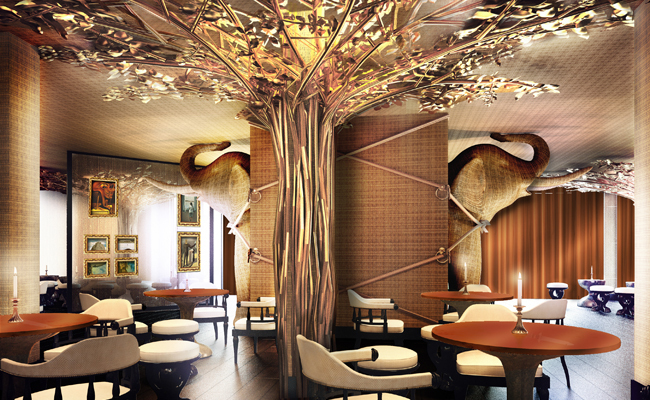 The luxury boutique hotel, which is housed in a 1950 heritage Art Deco building, also has a a restaurant (helmed by Executive Chef Drew Nocente) and a bar that serves up some handcrafted artisan drinks. Prices start from $198 for a Classic Room. Long gone are the no-frills Costa Sands chalets of the past (remember all the birthday sleepovers you had there?) – teenagers these days have it good. D’Resort at Downtown East is still a chalet, but boy has it gotten a major upgrade. 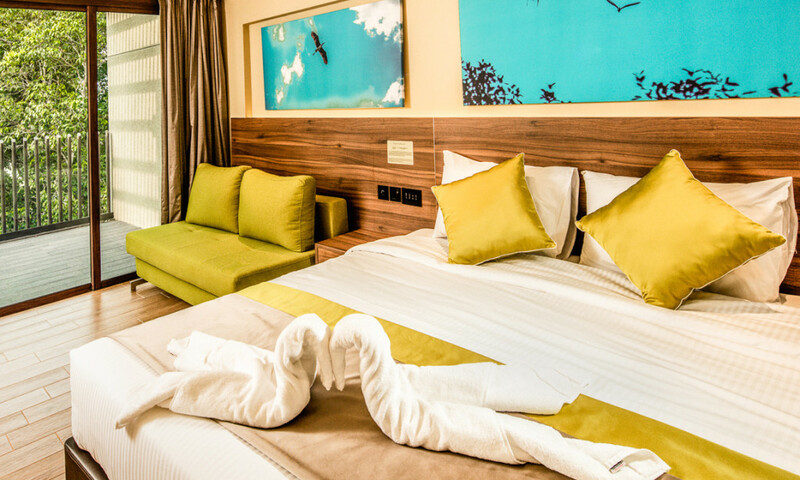 For starters, the rooms have an updated interior with modern furniture and bedding. There’s even a duplex room with a patio and kitchenette, which is great for families or small groups. Besides on-site barbecue pits, D’Resort is also a short walk away from Wild Wild Wet, Orchid Bowl and even a Cathay Cineplex. Chalet parties of yesteryear just got a major upgrade. 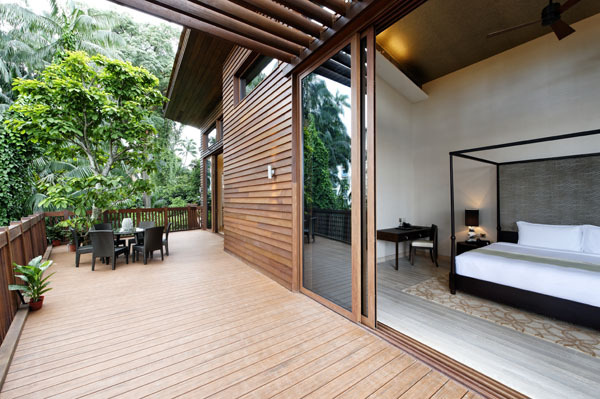 Prices start from $150 for a Rainforest Executive room. 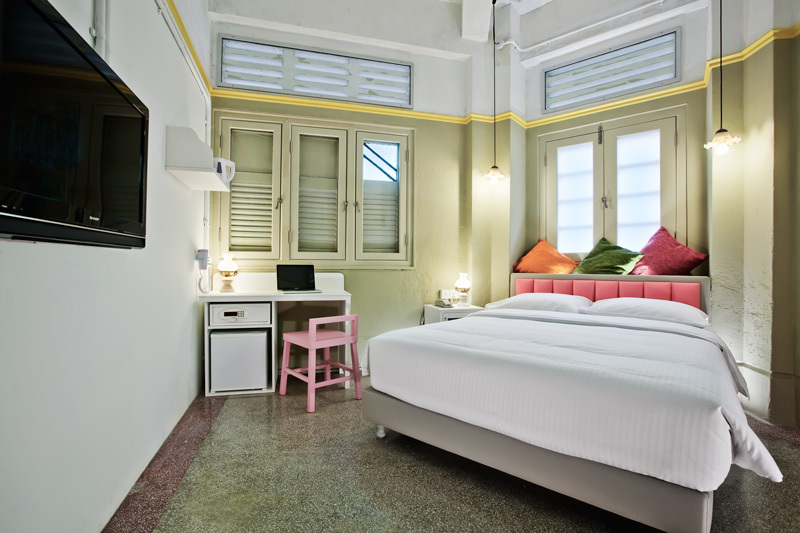 Lloyd’s Inn used to be a garish-looking backpacker hostel of sorts, but it recently got an extreme makeover and is now a hipster-worthy boutique hotel. 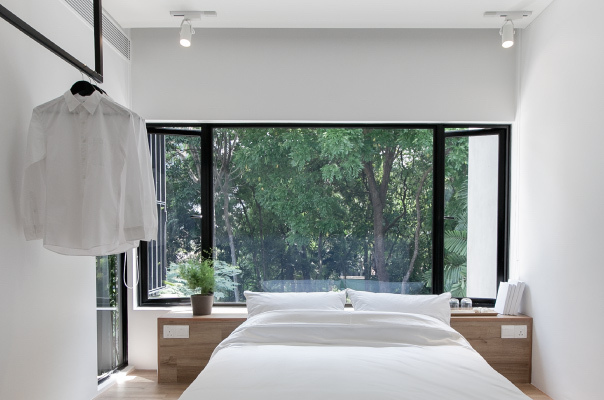 The establishment, which is located in a quiet area off Somerset Road, houses 34 rooms with varying minimalist themes. 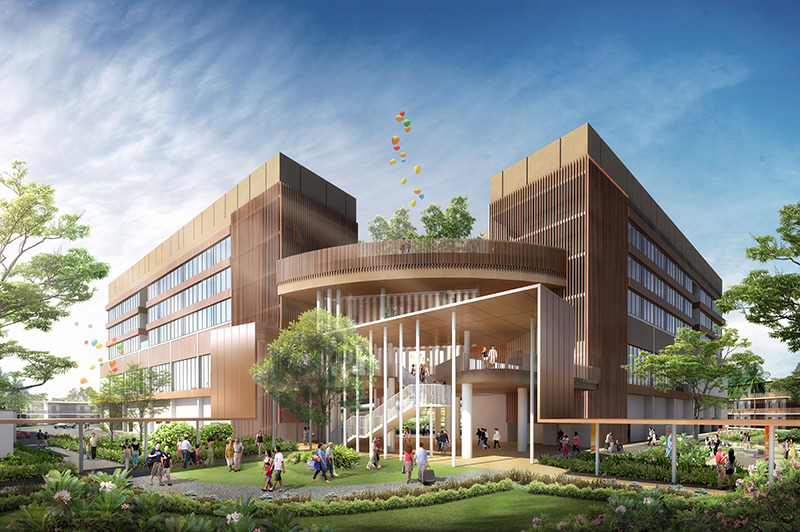 Facilities include a dipping pool, roof terrace and an outdoor pantry. The beauty of Lloyd’s Inn is that while it’s a tranquil escape from the hustle and bustle of the city, it’s also located in the heart of Orchard Road – which means good eats and entertainment are not far. How’s that for the perfect weekend staycation? Prices start from $160 for a Standard Room. If you’ve ever had a childhood dream about living in a tree house, then this one’s for you. 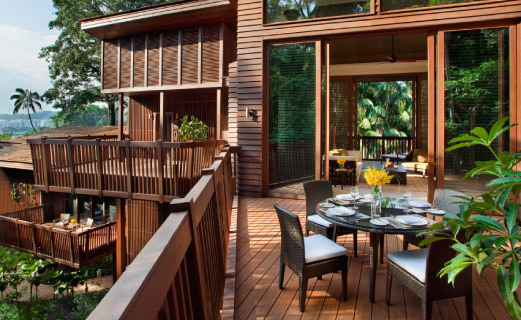 Perched among the trees at 12 metres above the ground, TreeTop Lofts in Sentosa is pretty much like a tree house for adults. The place offers a relaxing retreat away from the city, where you can get up close with nature without compromising on creature comforts (a girl’s gotta have her clean shower at the very least, you know?). Each sprawling loft has a spacious living room, walk-in wardrobe and even a private outdoor terrace where you can immerse yourself in the lush surroundings. The loft also comes with hotel amenities and a personalised butler service, so you’ll no doubt be well taken care of up there. Prices start from $1413 for the Tree Top Loft Suite. Looking for a more boisterous staycation? 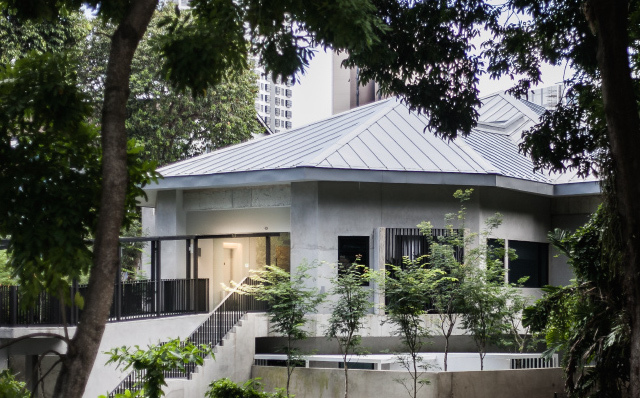 The Club at Ann Siang Hill is a luxurious boutique hotel that will cater to all your partying needs. Opened by the guys behind popular bar Harry’s, The Club provides easy access to Club Street, Clarke Quay and Boat Quay. Not that you’ll even need to leave the hotel though – there are several restaurants and bars located on the premises, including The Disgruntled Chef, B28 and Tiger’s Milk. The rooms are not too shabby either, with muted colours, unique art pieces and bespoke furniture. Prices start from $320 for a Club Room. 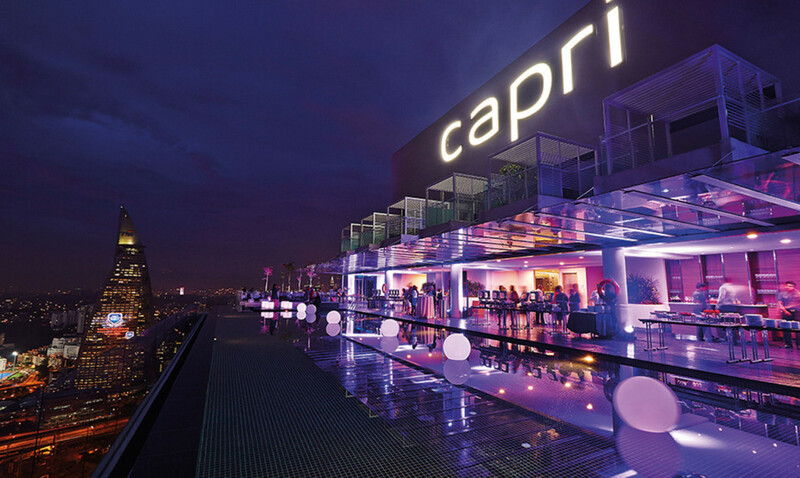 Located in Changi Business Park, Capri by Fraser is admittedly far away from all the action. However, the awesome facilities there will make you want to stay in anyway. Besides a game room with foosball, punching bags, an Xbox and more, the fully-serviced hotel also has a pool with a hydro treadmill and a poolside bar. The spacious rooms also come equipped with kitchenettes, cooking utensils and a full fridge, so this just might be the perfect place to host a potluck birthday party or hen’s night. Prices start from $168 for a Studio Superior.